district (район)—an administrative unit established to govern selsoviets, rural settlement councils, and towns under that district's jurisdiction. Districts cover territories with population of at least 20,000.
selsoviet (сельсовет)—an administrative unit established to govern one or several rural localities with adjacent territories. Selsoviets cover territories with populations of at least 1,000.
settlement council (поссовет)—an administrative unit established to govern an urban-type settlement with adjacent territories and/or selsoviets. Settlement councils have not been implemented in practice. city district (городской район)—an administrative unit of cities under republic's jurisdiction established to improve municipal government efficiency. closed administrative-territorial formations (закрытое административно-территориальное образование)—territories under the federal government management with travel and residency restrictions; usually military objects. 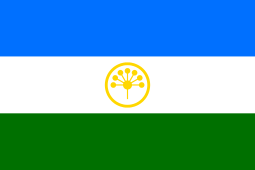 All administrative units have administrative centers, defined as urban or rural localities housing the Government of the Republic of Bashkortostan, or municipal and local government organs. Changes in the overall administrative and territorial structure of the Republic are authorized by the State Assembly—Kurultai. All changes must later be registered in the Russian Classification of Objects of Administrative Division on the federal level. with 1 selsoviet under the city district's jurisdiction. with 2 selsoviets under the city district's jurisdiction. with 2 selsoviets under the town's jurisdiction. with 1 selsoviet under town's jurisdiction. with 2 selsoviets under city's jurisdiction. with 1 selsoviet under the town's jurisdiction. with 15 selsoviets under the district's jurisdiction. with 20 selsoviets under the district's jurisdiction. with 12 selsoviets under the district's jurisdiction. with 21 selsoviets under the district's jurisdiction. with 17 selsoviets under the district's jurisdiction. with 22 selsoviets under the district's jurisdiction. with 13 selsoviets under the district's jurisdiction. with 19 selsoviets under the district's jurisdiction. with 14 selsoviets under the district's jurisdiction. with 16 selsoviets under the district's jurisdiction. with 11 selsoviets under the district's jurisdiction. with 9 selsoviets under the district's jurisdiction. with 18 selsoviets under the district's jurisdiction. ↑ Государственный комитет Российской Федерации по статистике. Комитет Российской Федерации по стандартизации, метрологии и сертификации. №ОК 019-95 1 января 1997 г. «Общероссийский классификатор объектов административно-территориального деления. Код 80», в ред. изменения №259/2014 от 12 декабря 2014 г.. (State Statistics Committee of the Russian Federation. Committee of the Russian Federation on Standardization, Metrology, and Certification. #OK 019-95 January 1, 1997 Russian Classification of Objects of Administrative Division . Code 80, as amended by the Amendment #259/2014 of December 12, 2014. ).